From the day you start your job, you are automatically eligible for workers compensation in Marietta. This is true regardless of your position, title or rate of pay. Unfortunately, neither employers nor their insurers are quick to approve workers comp claims. 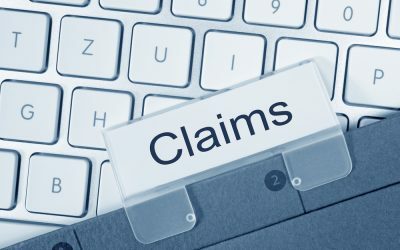 Insurance companies will seek out ways to minimize the seriousness of your injury, whittle down the amount they owe, or even try to deny that you were injured at work. If you or someone you love has been hurt on the job in any way, you need to talk to a Marietta workers compensation attorney. At John Foy & Associates we’ve been helping injured workers win their workers comp claims for over 20 years. We understand the tactics that the insurance companies use and we know how to counter them. We refuse to allow any injured worker to be paid less than they need for their recovery, or to be shut out of the workers comp system. Let us give you a free consultation to discuss your claim. Call us at 404-400-4000 and get your free case evaluation today. To accomplish this, workers comp requires every employer to carry an insurance policy that protects their workers. Then, if you are injured on the job, coverage for your injuries is already paid for and the policy covers all of your costs. That doesn’t mean you get workers comp for free. Technically, you and all of your coworkers help pay for these benefits through your paycheck. This is important because workers compensation is not a handout. You paid in to the system and, if you are injured, you have a right to paid out. What will workers compensation pay for if I’m injured in Marietta? Medical care. All of your doctor visits, hospital stays, procedures, tests and other medical costs are paid for by workers comp. Missed wages. It’s possible that you won’t be able to return to work right away because of your injury. If this happens, workers comp will actually issue you a paycheck for the entire time you’re recovering. This pay is typically lower than your actual pay, but it’s also tax-free. If you have a permanent injury, you will likely qualify for a much larger payment to offset your inability to work. Physical therapy. If your injury requires physical therapy or other ongoing treatment, it will be covered. You can also receive coverage for occupational therapy or retraining to learn how to return to work with your injury. All prescription medicine is paid for. Travel costs. You can track the mileage you spend going to doctor appointments, specialists, and other medical appointments and be reimbursed at a rate of 40 cents per mile. Any worker who suffers a permanent injury or long-term disability will also receive additional benefits. Likewise, the families of workers who pass away from their injury will be given additional benefits. This money can never make up for the loss these individuals suffer, and it isn’t meant to—it is designed to help ease the financial burdens while the workers or their family go through a difficult time. What types of injuries are covered by workers compensation? Are there certain injuries that are not covered? Any injury should be covered if it happens at work. This includes injuries in an employer-owned parking lot, on walkways, and outside on employer property. But normally, injuries that happen off-premises are not covered. If you are injured while commuting to work, for example, your injury is not covered. Is psychological trauma also covered by workers compensation in Marietta? It can be under some circumstances. Workers comp only covers injuries that have a physical component. A purely emotional or psychological condition, therefore, is not covered—for example, if you are experiencing trauma from threats said by a coworker. If the trauma is related to a physical injury, however—for example, trauma related to a physical attack on work premises—then treatment is covered by your claim. No. In fact, in the City of Marietta, you cannot sue your employer over a workplace injury. One of the reasons workers compensation exists in the first place is to avoid the costs of these lawsuits. This has the added benefit of preventing conflict between you and your employer—your claim is only with the insurance company, not with your boss. Under Georgia law, an employer cannot retaliate against an employee for filing a workers compensation claim. If they did so they would risk dramatic liabilities and penalties. This means your employer cannot fire you, treat you differently or refuse to promote you because of your injury claim. In fact, in most cases we see the employer act with compassion and concern while the insurance company does the dirty work of fighting your claim. This distinction between the employer and the insurance company is exactly why it’s so important to have a lawyer representing you. Your boss may be friendly to you, but the insurance company has no personal concern for you and your family. Their only goal is to find a way to pay you as little as possible, even if it means you don’t get the treatment you need. A lawyer puts you on an even footing and helps you get everything you deserve. As a worker you have rights. John Foy & Associates has been helping injured workers get their full workers compensation benefits for more than 20 years. Don’t miss out on the benefits you deserve—let us give you a free consultation to discuss your claim. Call us at 404-400-4000 or fill out the form to your right and get your FREE consultation today.